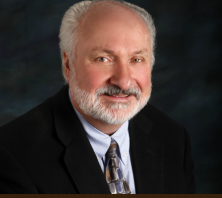 Experienced Reno Lawyer in Probate, Guardianship, and Trust administrations. At Donald K. Coppa. Ltd., we take care to ensure that our services are the best choice you can make for yourself and your family's well-being. Nevada's laws are complex and in matters involving estates, trusts and guardianships, they can be overwhelming. Families need and appreciate the guidance of a professional team experienced in the rules and requirements of the court-system. Our goal is to help you through this process efficiently and with respect. We provide full service in the following areas: Probate Guardianship Trust Administration and Litigation Wills The law office of Donald K. Coppa provides legal services in the Reno-Sparks area, and throughout Washoe and Carson Counties. If we can be of assistance to you, please contact us at 775-329-1066 or contact us online to schedule a consultation. Probate is a court-guided process during which a person's estate is distributed to those people named in a person's will or in the absence of a will, to that person's heirs. The Process of Probate What Attorney Coppa and his staff can do to help your family: If there is a Will, lodge it with the Nevada probate court Develop best strategy for administering the estate Locate Beneficiaries and Heirs Find and Collect Assets Apply for and obtain court authority to administer the estate. Obtain Letters Testamentary (with Will) Obtain Letters of Administration (without Will) Close and open bank accounts Transfer assets from the deceased to the estate Valuation of estate Hire experts and appraisers when needed Assist in the management and preservation of estate assets Facilitate sales of estate property Following Court-approval, direct distribution of estate assets and property to heirs and beneficiaries. Valuing and managing the estate We assist executors with the arduous process of collecting, managing, valuing, protecting and liquidating the assets of the estate. We have a team of experts available to assist in every aspect of estate probate. When appropriate, our firm calls upon accountants, financial advisers, real estate agents, property managers and other professionals to assist with executor duties. We can access expert opinions about unique assets such as antiques, rare books, automobiles and other collectables for accurate valuation, management and possible sale. Probate disputes On occasion disputes will arise between heirs and beneficiaries over the management or distribution of a person's estate. Whether a challenged will, disputed executor or contested judicial decision, we are adept at mediating these disputes. Regardless of the side you are on, we will advise you of the protections and remedies provided by law. If necessary, our professional courtroom presence will ensure that your rights and interests are protected. Contact estate lawyer Donald K. Coppa. Call us at 775-329-1066 or contact Donald K. Coppa online. I am a native Nevadan and a life-long resident of Washoe County so my roots in the community -both professionally and socially- run deep. I initially taught history at Hug High School before deciding I would rather deal with criminals than teenagers, and so entered law school. After graduating in 1973 I went to work for the Washoe County District Attorney's office where I prosecuted criminals for 11 years. Upon retiring from the District Attorney's office as the Assistant District Attorney I founded this practice in 1995 and have enjoyed helping people in various aspects of family and estate law ever since. My philosophy is that people seeking legal advice during difficult times in their lives also need to be heard, and know that their interests will be protected. I've taken great care to create an environment in which people can feel comfortable. My work ethic is such that I enjoy coming to work each Monday just to take a break from home-based projects: As with anything I do, I give 110% and my clients can expect this same effort on their behalf. If I'm not focused on a particular weekend-warrior project, I enjoy hiking in the Sierra Nevada forest with my wife Kris, and our golden retriever, Tucker.